Relations between Zimbabwe and the Republic of Belarus have been further taken a gear up through opening of the Zimbabwean Consulate in the Belarus capital, Minsk, today. 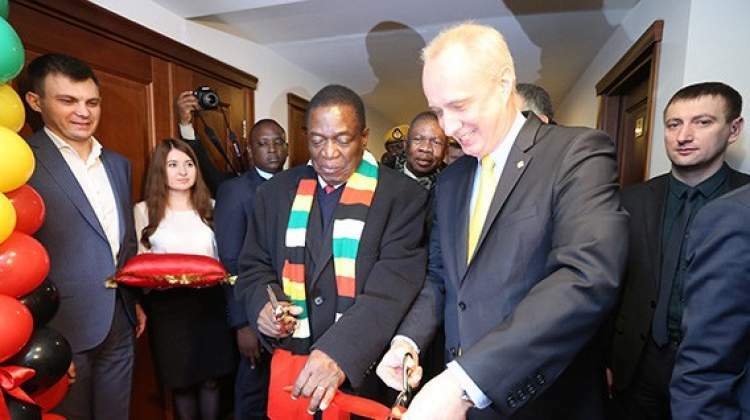 President Emmerson Mnangagwa has opened a consulate in Belarus and has appointed prominent business Aleksandr Zingman as the Consul in Minsk. The development is in sync with President Mnangagwa's engagement policy and widening and deepening bilateral relations with those who want to work with Zimbabwe in modernising and strengthening its economy for the attainment of Vision 2030. The President said he is pleased with the opening of the consulate as it will facilitate the movement of business people between both countries. The newly appointed consul Mr Zingman said the consulate will make it easier to link business people between the two countries. Belarus is a huge producer of agricultural equipment, mining machinery and equipment and heavy duty trucks, some up to 500 tonnes for moving ore.